Since we are on the subject of lookalikes, a couple of weeks ago I thought that I saw Darren Aronofsky on the train. 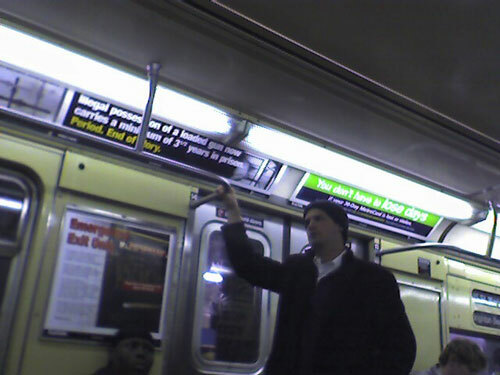 It was on the BMT Brighton Line which is featured so prominently in Pi, and he got off at 7th avenue, which would make sense as well. If I were to talk to Darren Aronofsky, I’d try to persuade him to film The Lady Who Sailed The Soul or Scanners Live in Vain. Rachel Weisz could totally be Helen America. That would have been awesome.